Sadly, non-subscribers can only read the excerpt of Ken Auletta’s amazing piece on Netflix and the television industry in last week’s New Yorker. I’d suggest you get a copy to read all kinds of amazing tales from the company, including a juicy little story about sitting down with the rental giant Blockbuster in the year 2000. You can check out Auletta explaining why television is not totally screwed on Charlie Rose. I’m not sure if I completely agree with Auletta’s assessment that television (cable in particular) may not suffer the fate of music or newspapers. There are several icebergs of problems just waiting to crash against its hull. Like the fact that folks who don’t watch one lick of sports end up paying a fair amount of their bill every month for the programming. And then there’s the bundle problem where most customers are forced to pay despite the fact that they never watch most stations. Cable and networks have seen their opportunity to attract huge audiences and sell expensive advertising spots whittle down to just live sports programming. Sports leagues are now extracting huge fees for the rights, and networks and carriers pass on the costs to all their customers. Now even teams are getting in on the action. Time Warner Cable recently signed a deal with the Dodgers that is expected to add $5 to the cable bills of their Los Angeles customers, regardless if they ever watch the NL West champs or not. While the NFL has delivered the numbers for television (Sunday’s Super Bowl reached an astounding 111.5 million viewers, the most watched show ever televised), other sports may have more of a problem, leading to the belief that there’s a sports TV bubble that will someday soon to pop. 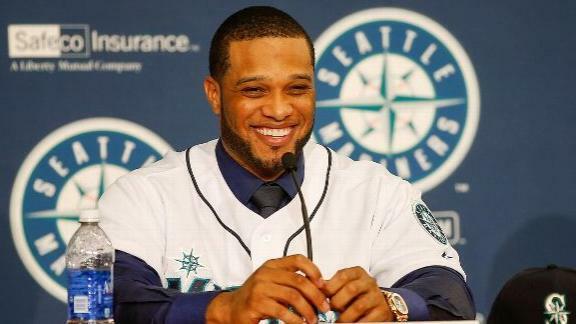 The Mariner’s huge contract with its regional sports network allowed the team to sign Robinson Cano to a $240 million deal, but will the money keep flowing? Many baseball teams have followed the Dodgers’ lead and are attempting to build regional sports networks that will bilk cable and satellite operators for massive fees. Both the Seattle Mariners and Texas Rangers signed huge deals with their regional networks, giving those franchises massive spending ability. But now the carriers are getting smarter. Wendy Thurm in FanGraphs wrote last summer that three Houston carriers are now refusing to pay the fees to show both the Comcast Sports Network Houston, which carries both the Astros and Rockets. DirecTV and AT&T are using advanced metrics to judge the value of the watching, and they’re finding these metrics wanting. Neither of the services offer CSN Houston, leading to 60 percent of the city without either teams on TV. CSN Houston is partially owned by the Astros and Rockets. When the Astros first signed the deal in 2010, it called for the team to be paid $80 million a year. Thurm reports that the team only received $25 million because of revenue shortfalls. Jeff Weber, president of content and advertising for AT&T told the Wall Street Journal “You start to think about not just viewership, but a broader phrase—viewership intensity.” So how long a TV set is tuned in and how many times in a seasons a household watches a sports team goes a long ways towards determining if it’s worth the price. Call it the Moneyball of Sports Television, where the data geeks drive business decisions. There has been much hand-wringing in the past couple years about cord cutters–folks who just had enough and use Netflix, Hulu, iTunes and about 100 other services for all of their entertainment. Moffett Research reported that pay television industry lost 360,000 from June 2012 and June 2013. It’s the first time there’s been a loss in pay television subscribers. Expect it to increase as costs continue to rise. These two disruptive changes: the adoption of devices and video services and the rise of big data analysis is now finally starting to rationalize what the consumers have been telling us for years. Television is too expensive and consumers only want to pay for what they use. This seems like a fairly intuitive, simple lesson that technologists continue to address. The side benefit is that the bundle is starting to fray.